Sink into the landscape on the Arthritis Bike Classic this September 16-22. You’ll relax at each overnight stay for two nights, which means more time to settle in and less time repacking every day! Covered Bridges Scenic Bikeways… and beyond! Overnight along the amazing McKenzie River. A wine country cruise with three wineries and spectacular scenery. Return to the same camp for another awesome night. Bike along the Willamette Valley Scenic Bikeway through historic towns on isolated country roads where sheep outnumber humans. Pool side camping in Albany with mini-golf and other fun activities. Time stands still today as you settle into the ride and cruise through some of the smallest towns on secluded roads. Return to your luxury campground for another night of end-of-day bliss. It’s a mostly flat day as you ride country roads back into wine country and an overnight stay at Champoeg State Park. 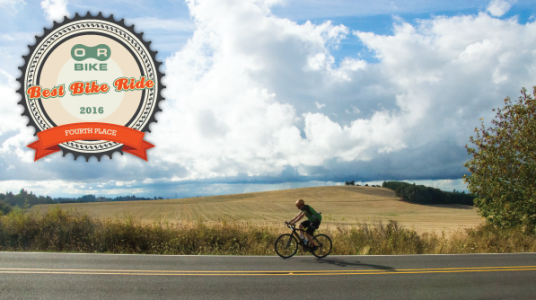 The final day is a luxurious pedal through more wine country, past hazelnut groves and around beautiful Haag Lake before returning to Champoeg for a final night celebration party.